As I started writing this post, the first question I had to ask myself was what to call this dish because my mother came up with the recipe. 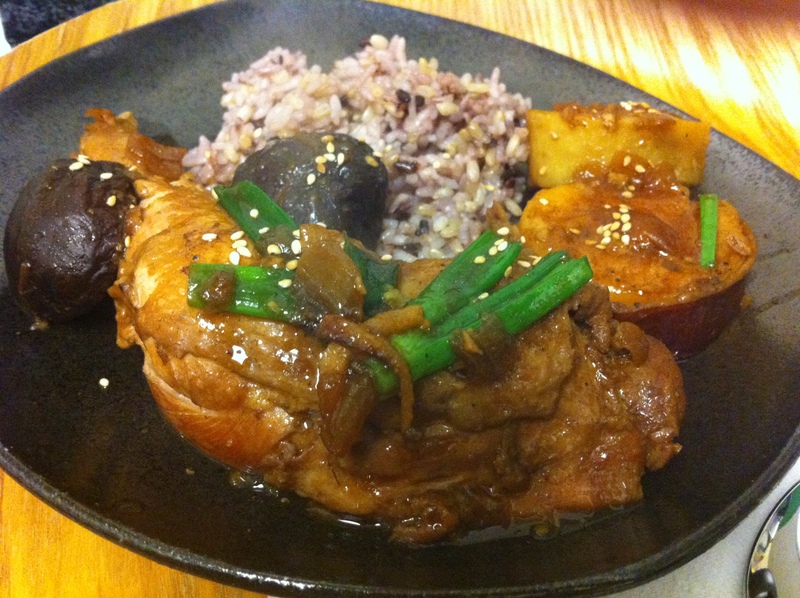 It tastes similar to a Korean andong-jjimdak (안동찜닭) and a chicken teriyaki but best of both worlds. 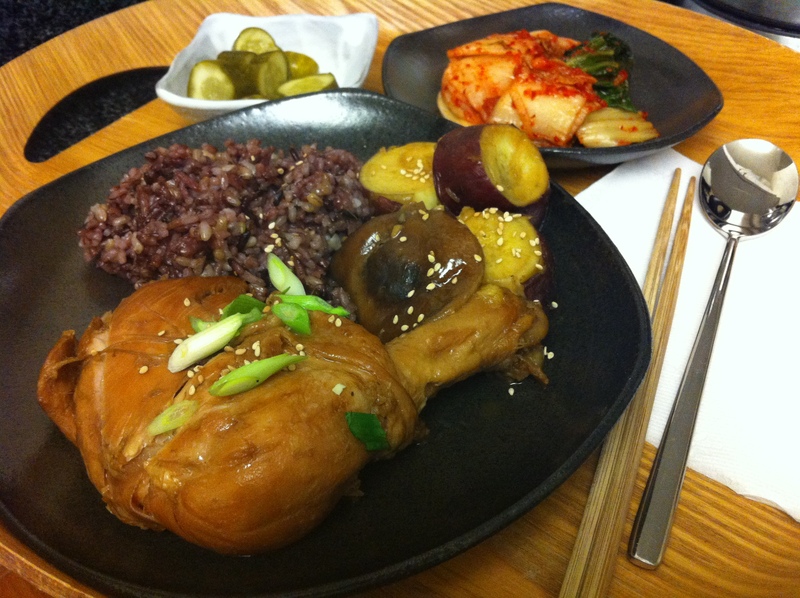 I decided to call this “Mom’s Chicken Galbi” although at home, I simply call it “Mom’s Chicken.” This dish was one of my favorites as a child and was one of the first dishes I learned to make in college. When I called my mother in Seoul for her recipe about 15 years ago, she simply said, “add a little more ginger to bulgogi sauce (same as galbi marinade).” I’ve added some of my own twists throughout the years such as adding sake and a few dried hot peppers to give it a little kick. The hot peppers are optional for families with children who might not like this. I also started adding shitake mushrooms and sweet potatoes (goguma, 고구마) since my mother started living with us because she does not eat chicken anymore. Again, this is optional. This is my fourth part of the Korean BBQ or bulgogi marinade series alone with bulgogi, gungjung-dduckbokki, and LA galbi. 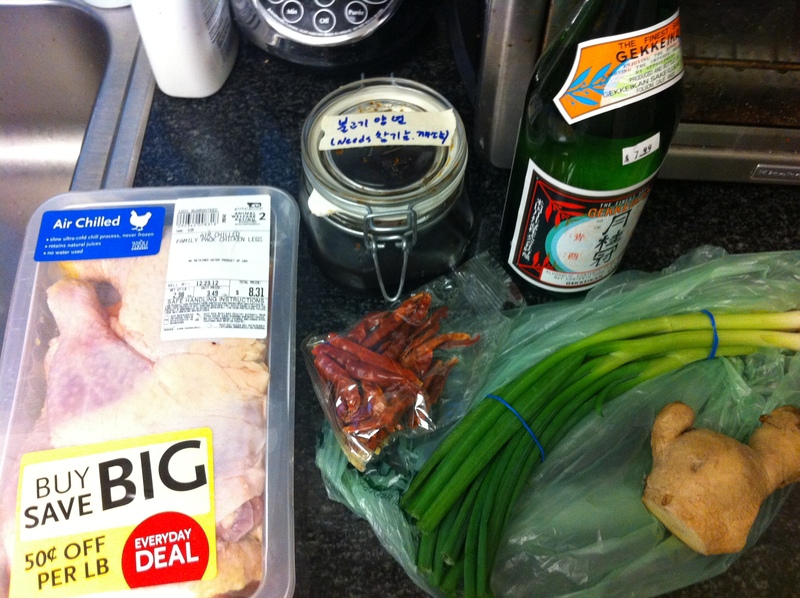 Combine the Korean BBQ marinade with the hot peppers, ginger and sake. Clean the chicken with cold water and pat dry. 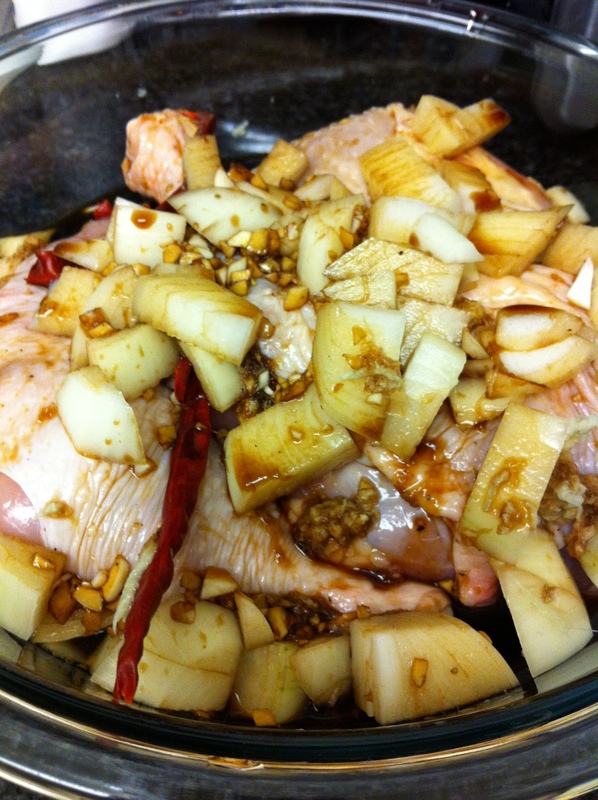 Trim off the fat and put small slits in the chicken with a knife so the marinade can absorb easily. Marinate diced onion and chicken with 1/2 cup of the Korean BBQ marinade for at least 30 minutes. If the shitake mushrooms are dried, soak them in warm water for about 20 minutes. 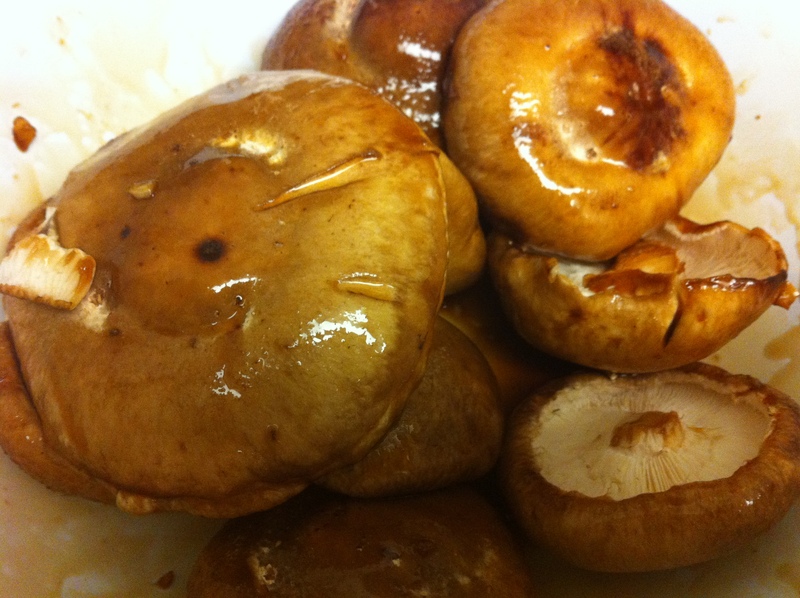 Coat the mushrooms with a few tablespoons of marinade. 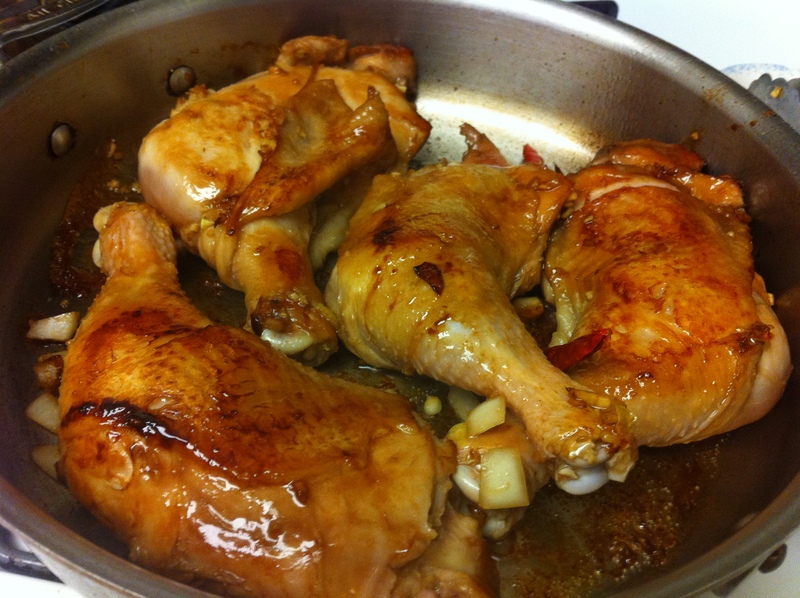 On high heat, drizzle oil into a large skillet and brown the chicken skin side down. Do not pour the marinade the chicken was soaking in. 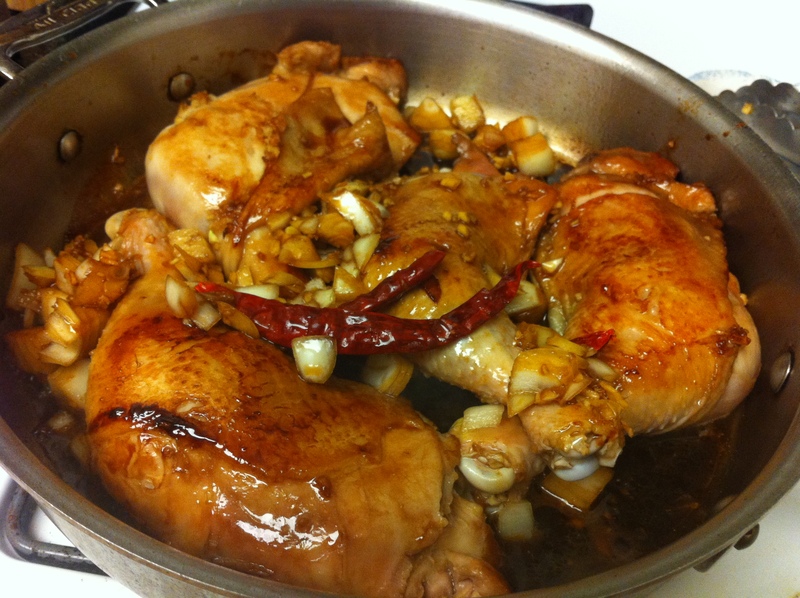 When one side is browned, add the onions and flip the chicken to brown the other side. Make sure the onions do not burn. When the chicken is browned on each side and the onions are sautéed, add the mushrooms and pour the marinade the chicken was soaked in with 1-2 cups of water and cover. Bring it to a boil and simmer for about 20 minutes. Flip the chicken and add the sweet potatoes. 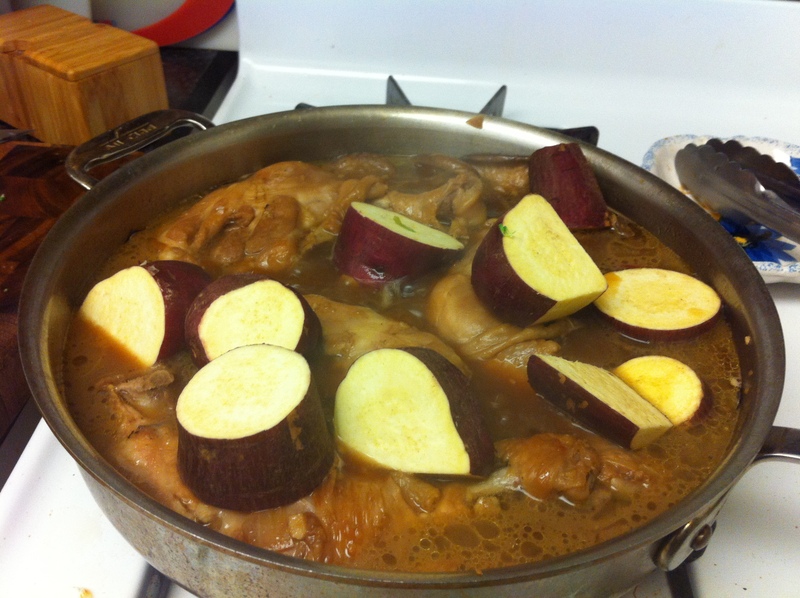 Cook for about another 10 minutes or until the sweet potatoes are fully cooked. Uncover and raise the heat to high. Add the scallions. Taste and add the leftover marinade if needed. 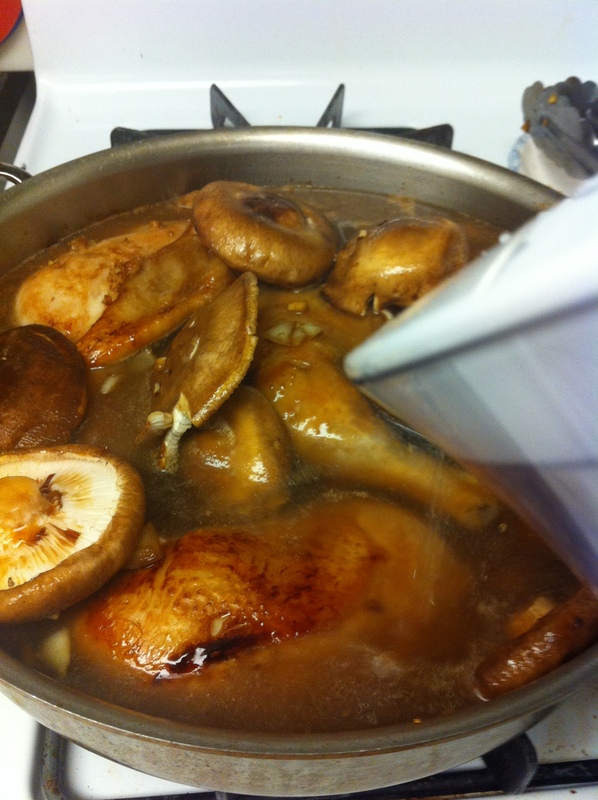 When then the sauce is thickened, serve the chicken, mushrooms and sweet potatoes on a plate with rice. I like to drizzle a little sauce over the rice. Garnish with toasted sesame seeds. 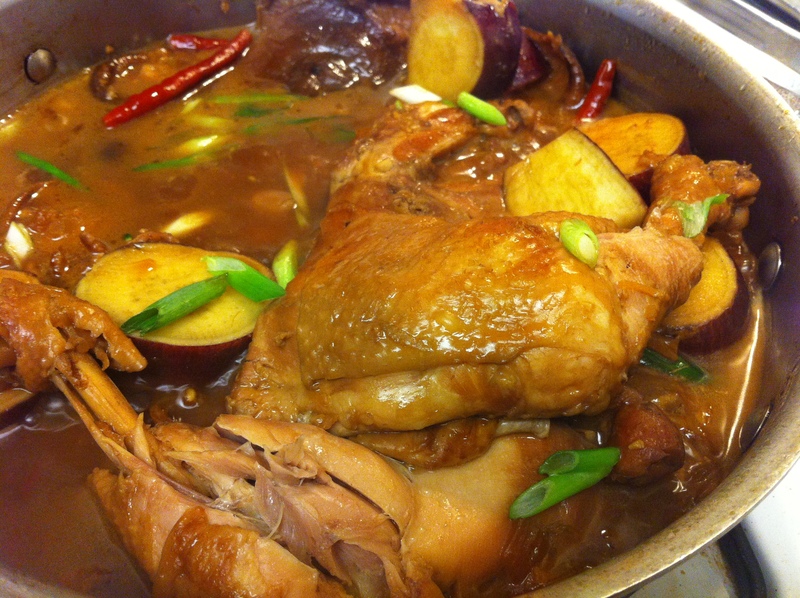 This entry was posted in Good for dinner, Main Dish, Meat/Chicken and tagged Chicken, Korean BBQ Marinade by gangnamkitchen. Bookmark the permalink. i make your mom’s chicken recipe for the family every other week! i’ve used red pepper flakes instead of the chilis & i’ve also included other vegetables, such as broccoli, cauliflower and carrots, so that j can get some nutrition. it’s j’s favorite dish! Janet, thank you for your great ideas!!! I am so happy to hear that 🙂 Thank you so much, Gy!